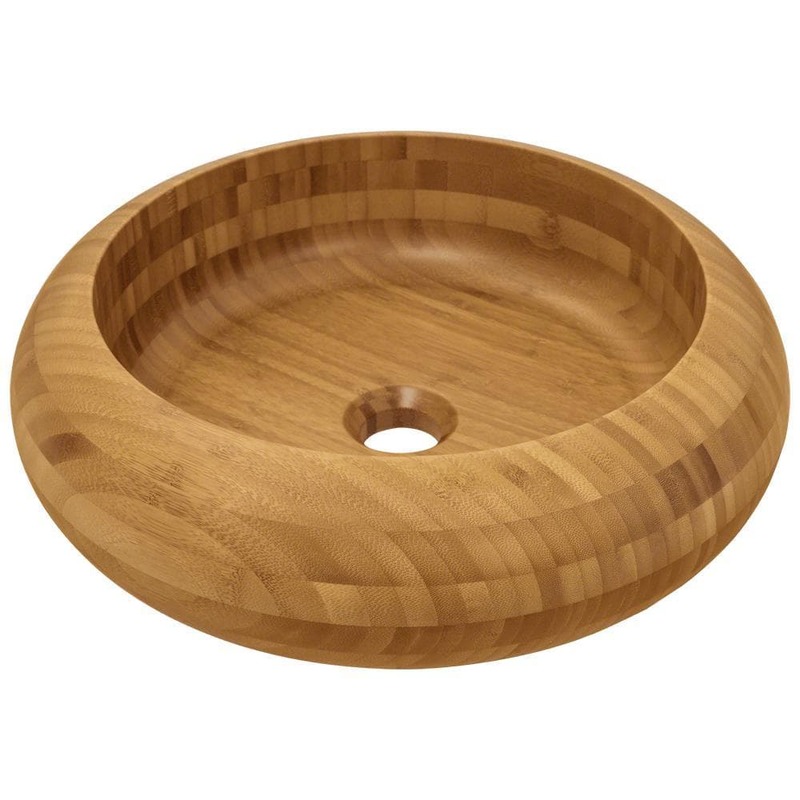 The P398 bamboo vessel sink is manufactured using 100% renewable bamboo stalks, which are laminated to create a leak-proof seal. This bowl is perfectly round and very thick. Concentric circles of bamboo run both horizontally and vertically over the total circumference, intertwining to form a distinctive pattern of yellow bamboo tones. Overall the sink rises to a 4 3/4" height and measures 16" x 16", requiring an 18" minimum cabinet size. The bowl is 2" thick with an inner depth of 3 3/4". A matching bamboo waterfall faucet is available to correspond with this sink. As always, our bamboo sinks are covered under our limited lifetime warranty for as long as you own the sink.